A lamp with a design quite attractive and uniquely designed by Norwegian designer, Caroline Olsson. 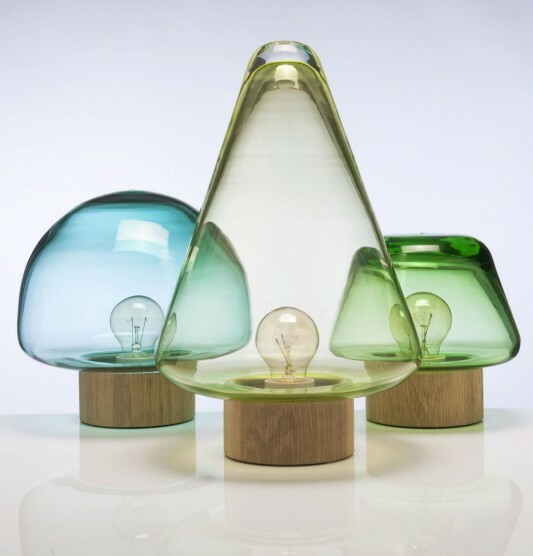 Making it work together with the lamp Magnor Glassverk, inspired from the great forests around them. 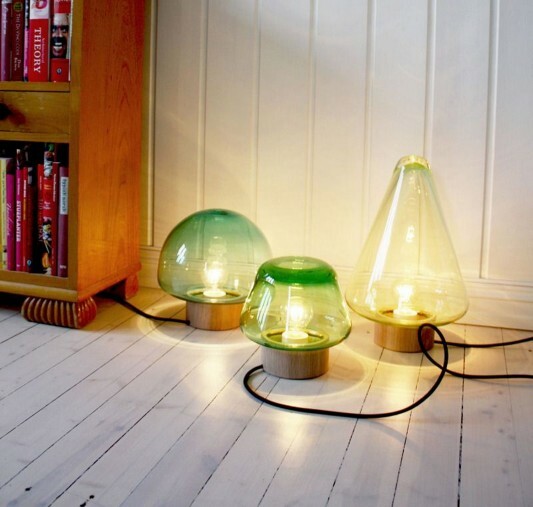 Lamp consists of units made in different sizes and shapes and colors are also different. You can create a miniature forest of unique, simply by putting some kind of lights together in a table or floor. 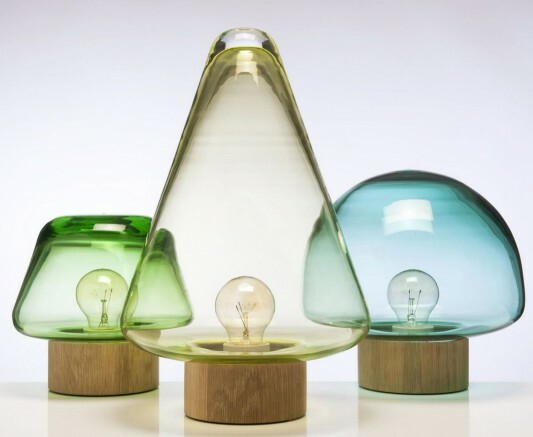 Lamps made from mouth blown crystal with base in oak made using a technique to change the timber. 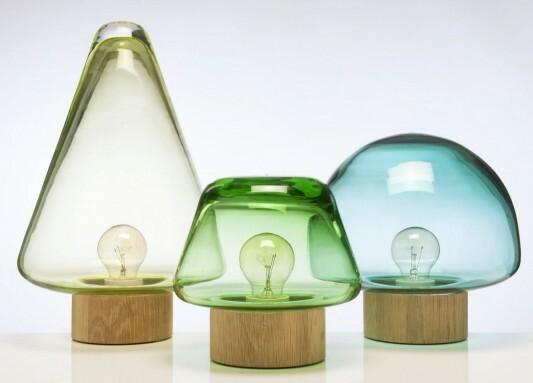 Named Skog taken from the Norwegian language, which means forest, a collection of lamps with different colors and shapes, it can look like a forest of unique trees and pleasant.